Students usually love any activity where they get to use technology so naturally they prefer digital task cards to printed ones. Well, I do too! Here are the top 5 reasons why. 5) Boom Cards™ are self checking. Students completing task cards in a center won't be practicing a skill wrong without knowing it. Boom Cards™ give immediate feedback for each question. 4) Boom Cards™ are paper free! No printing, no cutting, and no storing many decks of cards. Simply set up your classroom and assign cards to your students. Easy peasy. If you don't want to take the time to set up a class, that's no problem just use fastplay. 3) Boom Cards™ are now available on Teachers Pay Teachers! How convenient is that? If you have a TPT account you and download any set of Boom Cards™, you can get a free 1 year membership at Boom Learning™. Do you want to see a playable preview? Click here, select any deck and download the preview. Some of the decks included printed and digital versions. 2) Boom Cards™ are versatile. 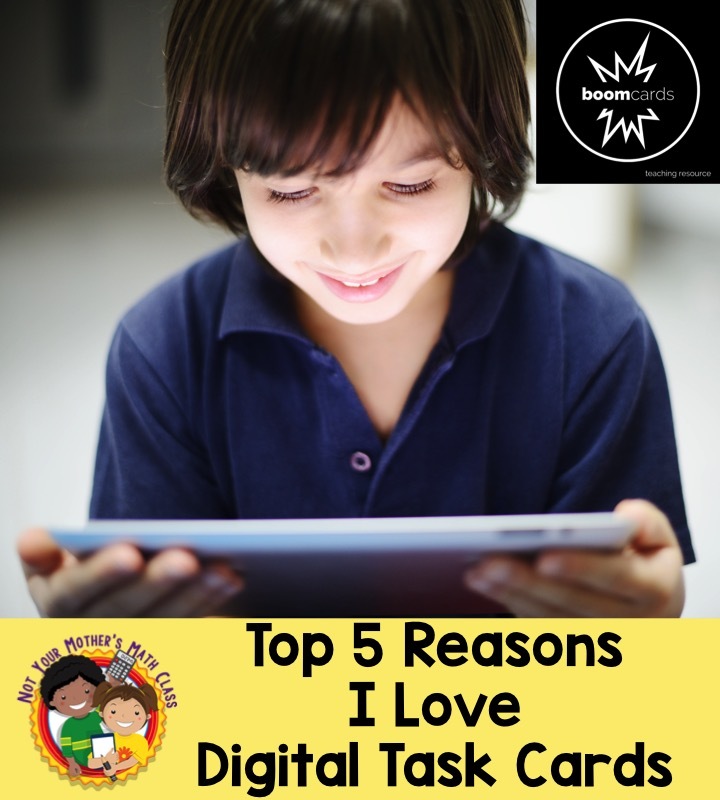 You can use them with any technology center; they work with interactive white boards, tablets or computers. 1) Data! If you assign decks to your students, you get data on every student. In addition to just an overall score, Boom Learning™ graphs tell you which questions each student answered right and wrong. You don't have to do the checking it is all done for you. You will know if your students are staying on task during centers and what skills they need help with! You can see when a student answered a question correctly (green) or incorrectly (red). 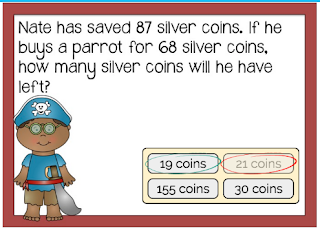 Simply click on on a bar on the graph to see how the student answered the question. I have created several decks on Boom Learning™. They are easy to make but there are many free or economical decks to download. Disclosure: I am receiving renewal of my Boom Learning™ membership for writing and publishing this blog post about Boom Learning™.